They say ‘design your space for the life you live’. 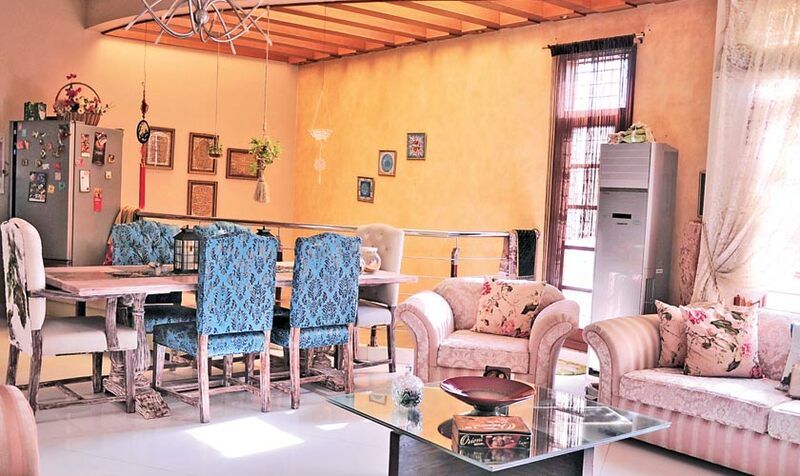 As soon as you enter Nuzhat’s cosy abode, you feel an air of warmth engulfing the whole environment. Nuzhat has been living in her well furnished house for the past four years with her doting daughter, caring husband and a loving sister. 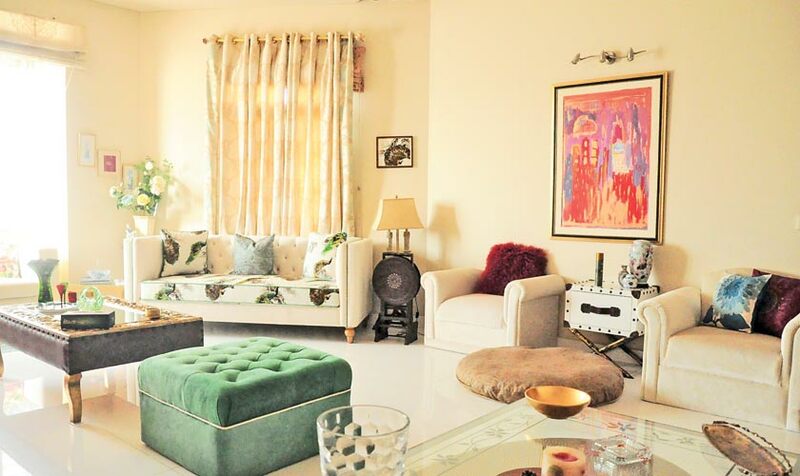 Though they are living in a rented house, it speaks eloquently of Nuzhat’s fine taste in home decor which is done in vibrant colours. “I love cheerfulness in life so I made a deliberate attempt to give my house a colourful look. Every corner of my house is different which gives a certain character to the rooms. What I love most about this house is its architecture; it has been designed in a way that brings a lot of sunlight to every room,” says Nuzhat. Designed on modern lines, the house has a charming appeal to it. The bold pieces of furniture, which she has judiciously placed in her house, have something intriguing about them. One wonders where she bought her furniture from. “I like designing my own furniture by taking inspiration from Pinterest, home decor magazines and sometimes even movies. The furniture that you see in the house is all custom-made. I got it done from my carpenter by taking inspiration from home decor magazines. My favourite piece of furniture is my new peacock sofa. I am excited about it because it turned out just the way I wanted it to be,” explains Nuzhat. 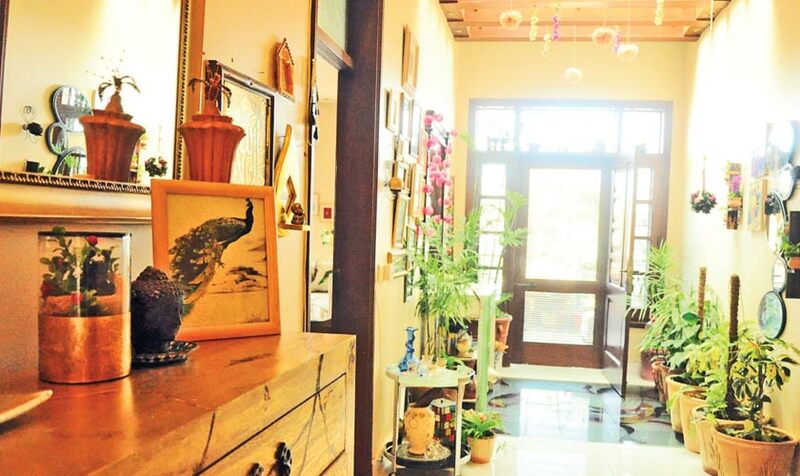 Her house carries an eclectic mix of objet d’arts which catches one’s attention. “I have collected artefacts from different countries. I mostly have framed paintings from calendars or history books I got from flea markets. There is this huge painting we have in our drawing room from Jimmy Engineer which everyone likes. 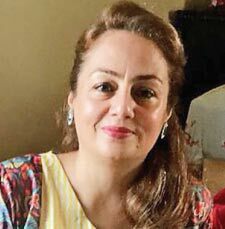 However, my crystal pieces are my favourite,” tells Nuzhat. For her living room, she has taken her talent for layering different textures and subtle, contemporary colours to new heights. “The trick is to play with texture and layering, and add accent colours in gorgeous fabrics. When designing your home, it is important that it has elements that you like and not just blindly follow trends. Keep it simple, do not compromise on the quality and use basic colours from bathroom to the entrances that may allow you to have number of options for your interiors and soft furnishings,” she shares. A compulsive admirer of nature, Nuzhat believes in the power of greenery. 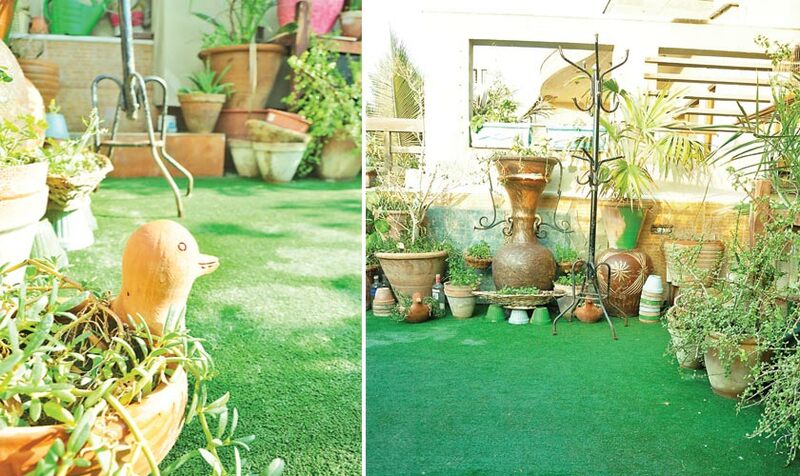 She has adorned her terrace garden very artistically. “I enjoy my evening tea at my terrace garden because it gives me energy. It feels amazing to be around the plants de-stress your mind. 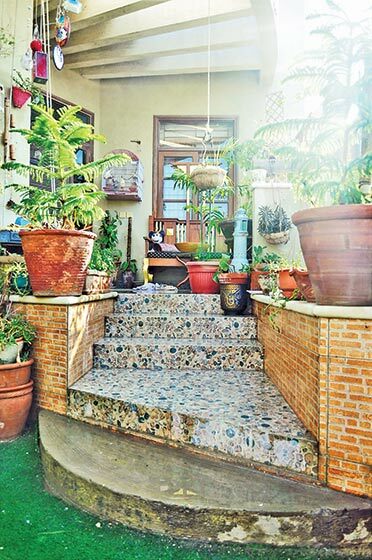 One just has to make sure to take care of the plants or it can give your house a gloomy look,” elucidates Nuzhat. Being a perfect housewife, Nuzhat likes to entertain her guests wholeheartedly. Whoever visits her home vouches that she is a gracious host. “I really feel happy when guests come over and appreciate my designing skills and enjoy my cooking. Since I am mostly home, I like to try out different dishes. I simply love cooking and baking,” comments Nuzhat. Recently, Nuzhat has included some latest additions in her interiors – a rustic dining table, laughing Buddha & Monk ornament and a relaxer for her bedroom. “I normally go to Habbit, Interwood and ChenOne for my home accessories shopping. But I only buy in if I find something affordable,” informs Nuzhat. However, there is one error which she made while furnishing her home and regretted it later. “I designed a round table but had to change it because it was too small. Realised this on the first day of Eid, when we had guests over,” laughs Nuzhat. 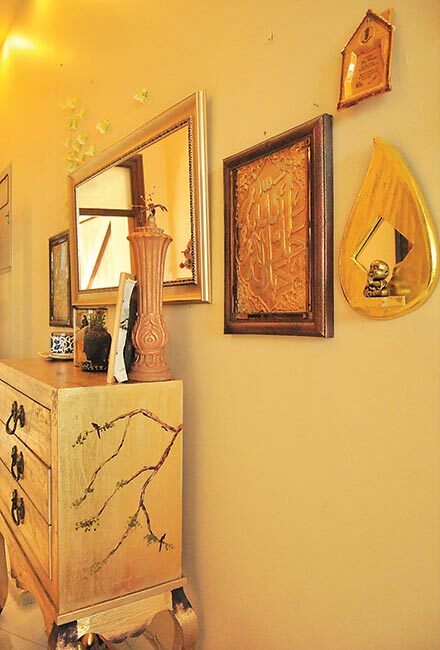 According to Nuzhat, one can beautify one’s home creatively within limited budget if one has good taste. “I don’t believe in buying expensive stuff. Also, I’ve seen houses with ordinary furniture but very special and welcoming hosts. So it boils down to positive vibes in the house,” observes Nuzhat. “Your house is home when it’s comfortable for all because there’s no place like home. Big or small it’s the ultimate luxury,” sums up Nuzhat.